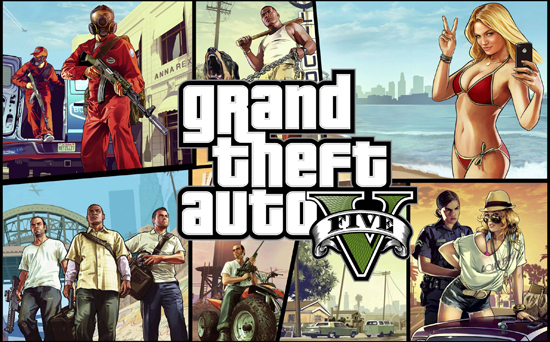 Grand Theft Auto V is easily the most anticipated game of the year. It's actually the 9th console game in the series, if you include the two games which were ported from the PSP to the PS2. The legendary franchise has sold millions of copies, it has legions of devoted fans, and it's also one of the most controversial franchises in gaming history. No series gets more attention from the public or the press, and with good reason, when it comes to open world games and crime fiction, no one does it better than Rockstar. 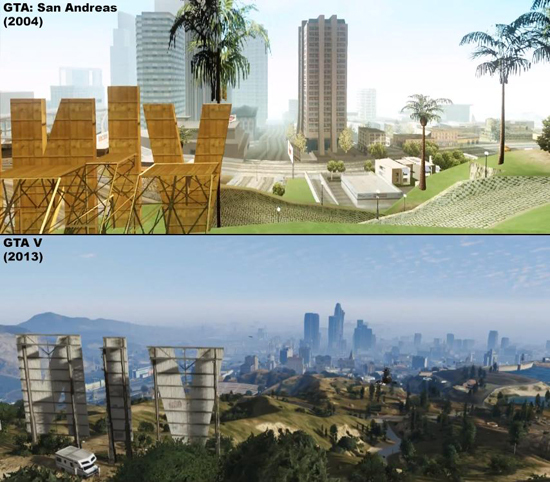 The series returns to the fictional setting of Los Santos, San Andreas, a parody of modern day Southern California. The attention to detail is amazing. Los Angeles residents will definitely notice tons of familiar sites, including historic buildings, famous city landmarks, and even the inclusion of our favorite comic book store, Golden Apple Comics. Rockstar literally spent months scouting locations across Los Angeles. Their dedication to creating the most realistic and lifelike version of Los Santos is truly admirable. It shows why Rockstar is a cut above all other developers in the sandbox genre. There are also tons of in-jokes just for people who live in Los Angeles. The game pokes fun at the lifestyle of our city, the culture and the people who live here. It's all done with a great sense of humor and it makes the game a more rewarding experience if you are a local. When the first images and video of GTA V hit the web people were so amazed by the graphics they were certain the game was running on next gen hardware. The game was clearly a major step up from the previous GTA title, which also had strong visuals. Well I have no idea what kind of wizardry the Rockstar developers used to make this game look so good, but it's completely amazing. It's a miracle that they achieved visuals like this in an open world game running on seven year old hardware. I have played the game for several weeks straight and this fact still boggles my mind. This title looks stunning. The game also has the best soundtrack since GTA: Vice City. The selection of music and channels is robust and there is literally something for everyone. Many stations also have a unique local flavor that lends well to the fictional Southern California setting. Channels like West Coast Classics and East Los Santos radio are a perfect fit for this game. But it's not just the songs that are great, the DJ's hosting each channel are too. Rockstar recruitted some huge talent to star as the DJ for each station. Movie legend Pam Grier hosts Lowdown FM. 80's rock icon Kenny Loggins spins the plates on Los Santos Rock Radio. Punk revolutionary Keith Morris leads on Channel X. The DJ's themselves are almost as good as all the great music. 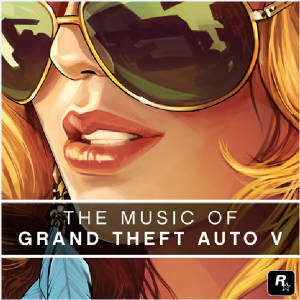 We're also happy to say that a selection of music from GTA V is already available on iTunes. 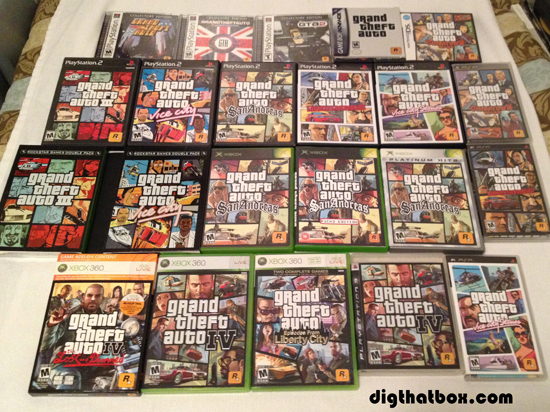 When it comes to the audio of this game the OST truly shines as the best in the GTA series. The original soundtrack was brought to you by Tangerine Dream, The Alchemist and Oh No, as well as Woody Jackson, who created the music for Red Dead Redemption. The score is nothing short of amazing, it's truly cinematic and it heightens the quality of the game in every possible moment. It's quite literally perfect. It might also remind you of the music from a John Carpenter movie, or something from an 80's crime drama. One of the best features of this game is the inclusion of three playable characters. Players can switch between characters on the fly in a "google maps" style transition. The camera will pan out to the sky, and then swoop over the map to the selected character. You never know what they will be up too when you switch characters. They might be doing something dangerous, funny or downright creepy. 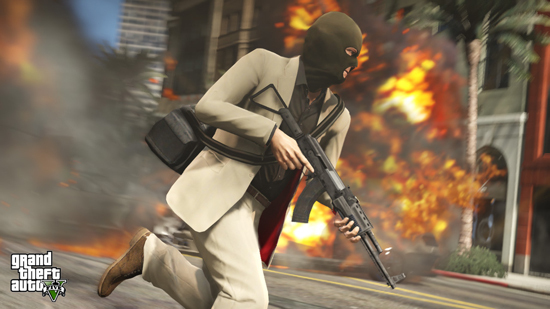 The inclusion of three playable characters also brings a new level of depth and excitement to the gameplay and the missions, especially the big heists. This is easily the most exciting GTA game to date, and it's largely due to this new feature. Each character has their own unique set of skills. This makes switching between characters all the more satisfying. You will quickly begin to appreciate each character for their own strengths. The story also benefits greatly from the new three character dynamic. Each character has their own unique fully developed personality and story line. It's like you're playing three games at once. The way they interact with each other as the story evolves is truly unique. You get the experience the game from three different perspectives. You may come to love one character and hate another, or you might start to like them all. By the end of the game you will definitely have your favorite. As for me, I like them all for different reasons. Of course strong characters are only building blocks in a great story. GTA V has a story that is clearly the best in the series. This is the finest work of Dan Houser and company. They have truly outdone themselves. The script is written by a group of writers who have learned from their experiences in making these games. This franchise has definitely evolved over the years. This is a more mature and well rounded game than any other previous entry in the series. It's funny, it's grim, it's cuttingly satirical and it's non stop entertainment from the first second of the game to the closing credits. The three main characters are brilliantly interwoven into one cohesive story that brings them all together in a completely satisfying way. Even the supporting characters have their moments to shine. The voice over work in this game is amazing. I must say, being a fan of the series I thought GTA IV, and it's DLC episodes, had incredible voice work. 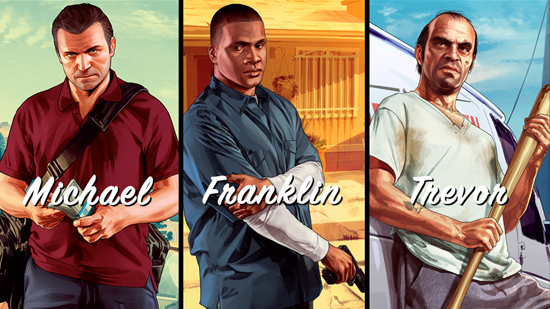 GTA V continues the tradtion with another great cast of actors all of whom bring their best work to the game. 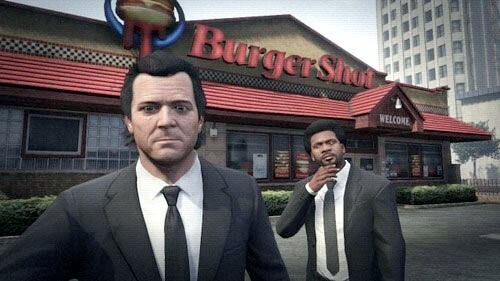 Ned Luke (Michael), Shawn Forenteno (Franklin) and Steven Ogg (Trevor) have great chemistry and work very well together, and with the rest of the expansive voice cast. Oh, and here's a cool bit of trivia. Michael's son Jimmy is played by Danny Temberelli, best know for playing "Little Pete" on the classic TV show, The Adventures of Pete and Pete. The main story of the game includes over 65 missions. However there is so much to do and see in the world of GTA V that you can spend literally hours just doing side quests. You can even partake in some leisure activities. Players can literally visit a movie theater and watch short films, all of which are wildly entertaining. You can also kick back at home and watch some TV. Feeling a bit stressed? Why not try some yoga? Sporting activites range from playing golf and tennis, racing of all varieties, triathalons, sky diving, hunting, and deep sea exploration. Rampages also make a return to the series, along with shooting ranges and flight school. Travelling around the giant world of GTA V you will encounter several different secret characters all with their own quests. There are also random events like robberies, car thefts, and armored car heists. In a robbery you can play vigilante and save the innocent victims or you can hunt down the crooks and steal the money to keep for yourself. You might also get ambused by bikers or by criminals in the wilderness. It's all waiting for you in Los Santos, and the entire map is open to you from the start of the game. The inclusion of GTA Online with GTA V makes this combo the best value in gaming. GTA Online is quite literally a game you can play forever. Rockstar claims there are over 500 missions and we know there are more on the way. 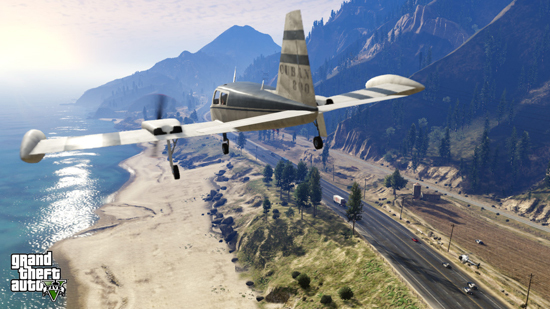 They have publicly stated that they want GTA Online to encompass everything they have done with the series so far. We can only guess what this will mean in the long run. We could see more DLC characters from classic GTA games, missions from previous games, and even trips to familiar locations. Anything is possible. GTA Online also gives players the opportunity to create and share their own content. This is a terrific feature that will certainly keep things fresh. It's also a nice reason to socialize with other players. And speaking of social skills, trolls and griefers are actually punished in this game. Bad sports literally get a dunce cap stuck on their heads! They also get exiled to a server with other bad sports. It's a great way to encourage civil and co-operative behavior. The ability to buy property in GTA Online also opens a world of possibility. You can even hang out with your friends in your virtual pad and watch the action going on outside your home on your big screen TV. This feature reminds me a lot of Sony's brilliant but under utilized PlayStation Home. 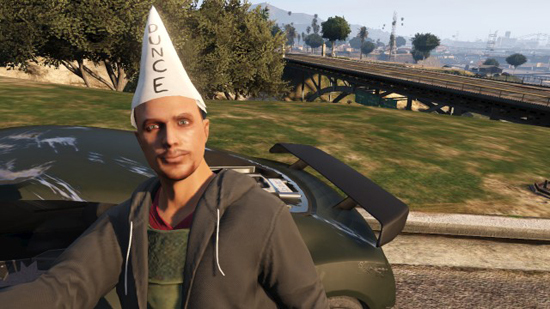 Now that I have told you all the good things about GTA Online it's time to hear about all the bad stuff. When the game first launched in October there were so many people trying to get online that it made the game impossible to play the game. It was plagued with instability, freezing, crashing and other bugs. It actually took several weeks before things returned to normal. Now we can't dock the game points for being popular. However if you tried to get online during the first couple of weeks you know it was a very frustrating experience. Luckily Rockstar rewarded loyal fans with a "stimulus package" of $500,000 in online currency just for being patient. Grand Theft Auto V is easily the best game in the GTA series. It's also a very strong contender for game of the year. Rockstar has done an amazing job creating of the most enjoyable games of this generation. GTA V is a reason to own a video game console. It's also the best value in entertainment today. With so much to do and see you can play this game for months and still not get tired of it. This game has it all, great gameplay, amazing missions, graphics that defy logic and one outstanding soundtrack. It's the complete package. If you don't already own a console then buy one just to play this game. You will be glad you did. About The Author: Elliott S. Thomas is our resident Grand Theft Auto fanatic. He has played every version of the game on every console, portable, PC and mobile device. Elliott and the other members of our site including Chris George, Jason Stern and James Arden have logged hundreds of hours playing the GTA series. They still meet online for weekly GTA play sessions.